1. Sign up for KOINUP to create an account (not applicable to those who are already members of KOINUP). 2. Join the group “Japan Dream Kenjin Photo Contest” on the website of KOINUP. 3. Take three snapshots in Japan Dream Kenjin. Subjects can be anything, with post-processing allowed. No restrictions on the size and theme of each snapshot. 5. Do not delete the snapshots uploaded until the contest is over. 6. Anyone can rez objects in Japan Dream Kenjin to spice up his/her snapshots, but do not forget to take them after shooting. 7. All snapshots uploaded for the contest may be used for the promotion of Japan Dream Kenjin. 8. Your entering the contest will be considered as your acceptance of the rules mentioned above. Prize: L$10,000 for the first place winner, L$5,000 for the second place winner and L$2,500 each for the third place winners (3), plus a package of assorted prizes for all the winners. Do I not need to add photo to the group? 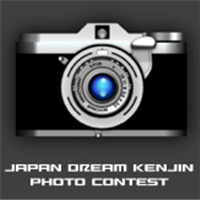 you'll need to join JAPAN DREAM KENJIN PHOTO CONTEST.